Revive yourself with the earth's finest ingredients found in Apollo's Specialty Bath formulations. Apollo offers a wide array of specialty bath products all visually appealing and uniquely aromatic. Revive yourself with the earth’s finest ingredients found in Apollo’s Specialty Bath formulations. Enhance freshness with quality products only made by Apollo. Formulated with unique blends of moisturizing botanicals, exfoliating additives and natural scents, relief of dry skin is effortless and relaxing. 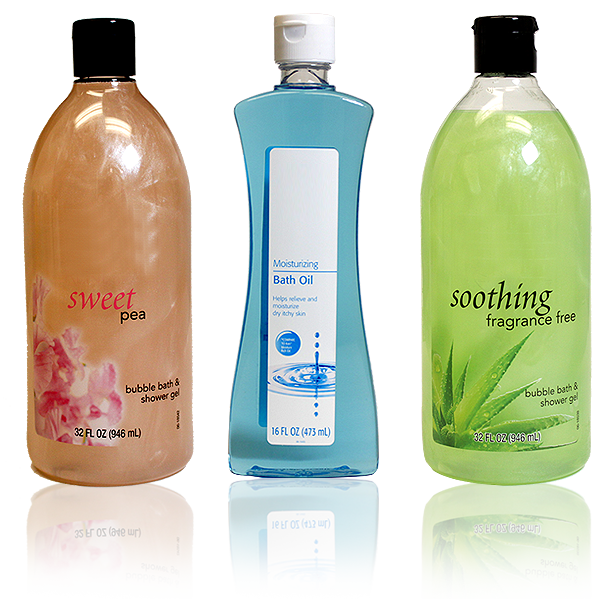 Apollo offers a wide array of Specialty Bath products - all visually appealing and uniquely aromatic. Lose yourself in a gentle cleansing with voluminous foam - accomplished by a combination of naturally derived surfactants and emollients. Innovative pearlizing and exfoliating and vitamin-charge beading are available within Apollo Specialty Bath products, offering a new look as well as enhancing performance.